You want the look and feel of hardwood floors. But laminate floors will serve you better. They’re more durable. They’re easier to care for. And they’re easier to install. But that doesn’t mean you can purchase them from your local flooring shop and install them the same day. Like hardwood flooring, laminate floors need a little TLC along the way. From the moment you finalize your purchase, there are a few things you need to do to ensure quality installation. Sadly, some flooring dealers will tell you that you don’t have to acclimate laminate floors. They will tell you that laminate isn’t real wood, so it doesn’t matter. However, what they don’t tell you is that by not acclimating it to your space, you may actually be voiding the warranty. Why do you need to acclimate laminate flooring when it isn’t a hard wood product? Like hardwood, laminate is made from materials that can change in different climate situations. If you take laminate from a warm, dry warehouse and install it in a cool, moist basement, there is a chance the humidity will cause the laminate to expand. It might not be extensive change, but even small amounts can cause your floors to buckle. The opposite can happen too. If you take laminate from a cool, moist warehouse and install them in a dry, warm home in the middle of winter, the floors could cause gaps that pull apart. This can make your floor uneven, even unsightly depending on the width of the gaps. And all of this could be avoided if the contractor simply applied acclimation times to the materials before installation. Acclimation times vary based on manufacturers, but you’ll find most list between 48 and 72 hours. This means the materials have to brought to your home and placed in the room in which it will be installed at least 48 to 72 hours before work is performed. If you are trying to find the best flooring company for purchasing laminate floors, you should always lead with this simple question before you lay down your credit card. 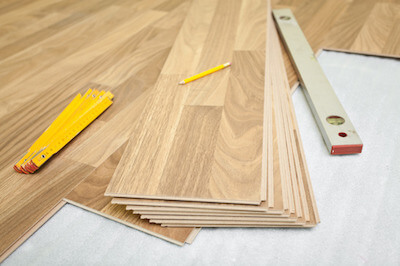 Do you need to acclimate laminate floors before installation? The answer is always yes. If they try and tell you otherwise, leave and find a flooring company you can trust.